After 15 years working for municipalities, museums and nonprofit art institutions like the Art Institute of Chicago, San Francisco Arts Commission, San Diego Museum of Contemporary Art and Yerba Buena Center for the Arts, Purkey Levine sought a “more flexible schedule and time to spend with my family. I was also ready to take a risk and strike out on my own,” she says of her drive to start her own business. 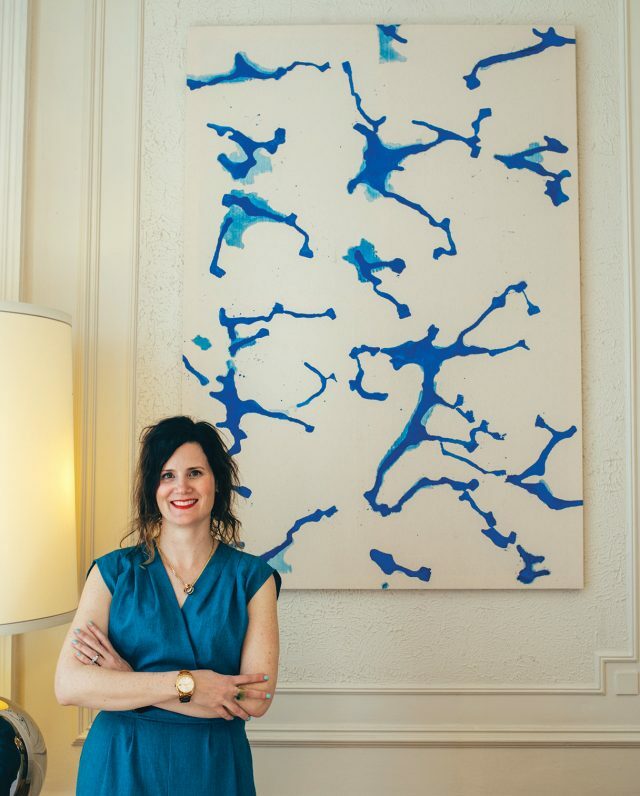 She launched AMPL Art Consulting in 2016, landing her first contract in February with the Institute for Contemporary Art in Boston and becoming incorporated as an LLC in November. While she’s had great success so far finding clients through networking and word of mouth, one challenge Purkey Levine has faced is that many of the art nonprofits in Maine are small and don’t hire contractors on a regular basis. “I’ve had to look to the Boston area for clients, which is great experience, but not ideal in terms of distance and personal investment in the community,” she says. For more info, about Anne Marie Purkey Levine and AMPL Art Consulting, go to amplartconsulting.com. Mercedes Grandin is a freelance writer, editor, English teacher and tutor. She lives in Brunswick with her husband Erik and their chocolate Labrador Fozzie. In her spare time she enjoys hiking, biking and exploring Maine’s midcoast by water.